Songs have been an integral part of sports and public spectacle, perhaps even before music was itself one of the contests alongside the physical events of the ancient Olympics. 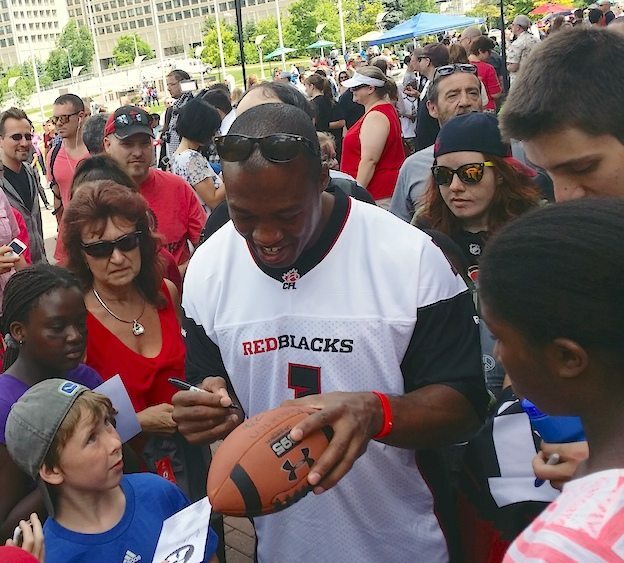 When the July 17 pep rally was announced to cheer on the OTTAWA REDBLACKS before their Friday, July 18 sold-out home opener against the Toronto Argonauts, the football fan in me had to check it out. With the added news that popular Atlantic Canadian rock band The Trews were chosen to play Friday’s first-ever pregame show at TD Place, the musician in me wondered how else music would play a part in the festivities. At one point in the pep rally, mascot Big Joe flipped his axe handle over into a pretend mic and lip-synched a Shania Twain song. 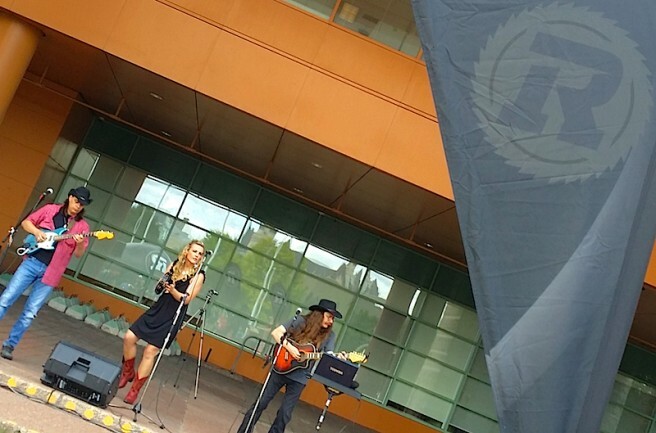 That was followed by Ottawa-based country vocal trio Blackwell singing “REDBLACKS style”, a modified-version of their new single “Redneck Style,” which will be released to radio next week. Questions swirled: With a sold-out stadium crowd on Friday and a diverse city with CFL players from all over North America, would the soundtrack to motivate this new generation of #RNation take a regional Ontario approach? Not being a huge country rock fan, was I just being a music snob? 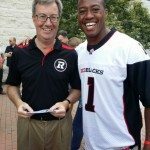 Did our new CFL team have an official song yet? 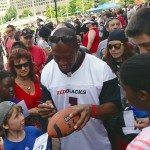 What kind of music did the REDBLACKS as a team play in practice getting ready this week? What about each player? What music do they need to prepare for the big moment? I surveyed others at the rally to see if I could find out some answers. Dan Garvey. Photo by Glenn Nuotio. Football fan DAN GARVEY works for the city of Ottawa. At the pep rally, his fashion choice was a definite fan-pleaser. 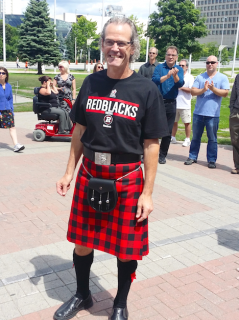 Like the outfit, his favourite sports anthem predates the return of football to Lansdowne Park. When asked about weaving music into sports, he still associates Queen’s “We Are The Champions” with football. 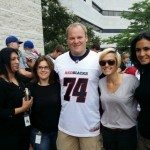 Knowing what popular tunes will be tossed into the crowd between plays on game day was still under wraps to any member of the REDBLACKS staff. It was being organized this week and is at the discretion of OSEG’s Game Day Producer, (live sports/ events producer, and self-described music snob) Paul Prose. – “Bad” – I assume it will be Michael Jackson’s classic song. However, in a generational switch, it might also be the 2014 dance hit by David Guetta & Showtek. 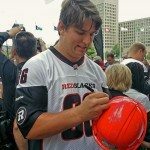 The first member of the REDBLACKS team was #81 PATRICK LAVOIE . The 26 year-old fullback from Saint-Flavie, QC talked about the team’s use of music this week and how his personal tastes differ from the consensus of the locker room. Q. What is it about Metallica that gets you ready? 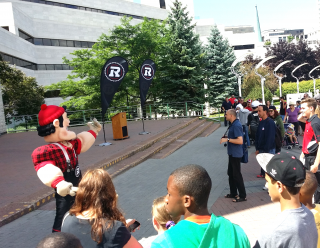 REDBLACKS mascot Big Joe lip-synching a Shania Twain song at the City Hall pep rally. July 17, 2014. Of course, Big Joe was far too busy entertaining the crowd to take time out and answer any questions about his favourite music or inspirational artists. 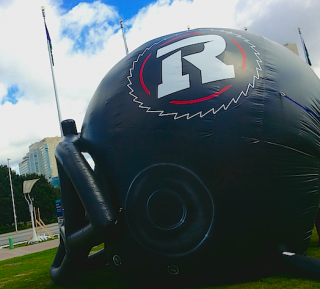 The REDBLACKS mascot, however, doesn’t have his own theme song, yet. Maybe the band Blackwell can help. The Ottawa country vocal trio’s new song ‘Redneck Style” just came back from being mixed in Nashville and is hitting Canadian country radio stations starting July 21 through an American distribution label. Outside of steel guitar and fiddle (provided by session players in Nashville), Carey Blackwell played every other instrument on the release. 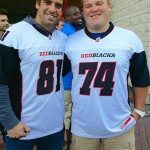 Will Big Joe and the REDBLACKS new #RNATION have their own signature tune one day as well? 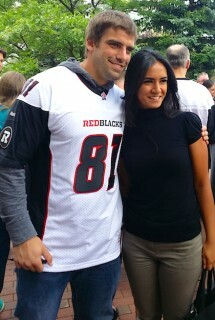 Maybe a Blackwell/CFL licensing deal might be the next big thing for the union of music and football in Ottawa. You can hear the original song ‘Redneck Style’ here below. If you’re a fan, ask for it on country radio stations starting this summer, or find it here on iTunes. OUTSIDE VOICE follows musician and writer Glenn Nuotio as he chats with artists, musicians, newsmakers, and community builders. 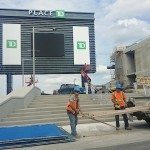 This new column is published at OttawaMagazine.com.